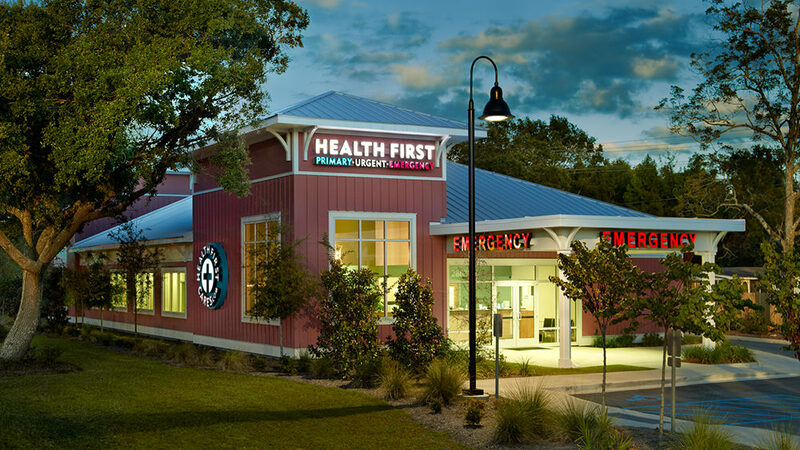 Health First is a 5,700 square foot emergency medical facility located in Mount Pleasant, SC. To address the owner’s concerns about visibility, we created towers at each end of the building which increase the building’s visibility from the highway and provide a prominent location for signage. Additionally, this building is located in the Sweetgrass Basket overlay district in Mount Pleasant – an area with a mix of residential and commercial structures. We designed deep roof overhangs and soffits supported by brackets, and used board and batten siding and a silver, standing seam roof in an effort to incorporate residential and commercial design elements and to ensure that the building would fit in well with its surroundings.